Webmaster and digital marketer Leigh Winters. Digital marketing and search engine optimization (SEO) service provider. ​The online presence is a must for any business, as more people turn to the Internet to find what they’re looking for, and you want to be found among those searches which is why SEO is important for your website. SEO is a critical component of your website which is another room, an extension of your business. You can often determine the success for one or the other, as companies, small businesses and entrepreneurs compete against each other over the eyes of the consumer and the more traffic to your website can mean success if your product is what they would be expecting upon purchase. If you have a good product which is not being found or seen, then you have no sales and the digital marketing era is here to stay for our generation into the next. Everyone needs income, we also want to ensure you can make the most of what you have to offer and premium SEO services with digital marketing will do it. 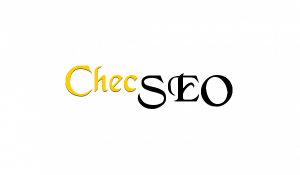 Learn more about the SEO Services provided via my business website CHECSEO, or send a message through the Contact Page. Knowing from personal experience, the search engine optimization and digital marketing services by Leigh Winters are up there with the leaders in the industry. With honesty and integrity which is what you would expect toward you, your business and your website. Wellington, New Zealand Founding Director. SEO, Website Development & Online Marketing. Providing services in SEO (Search Engine Optimization), Online Advertising and Social Media Marketing. © Copyright 2019 Leigh Winters.